Happy Monday! 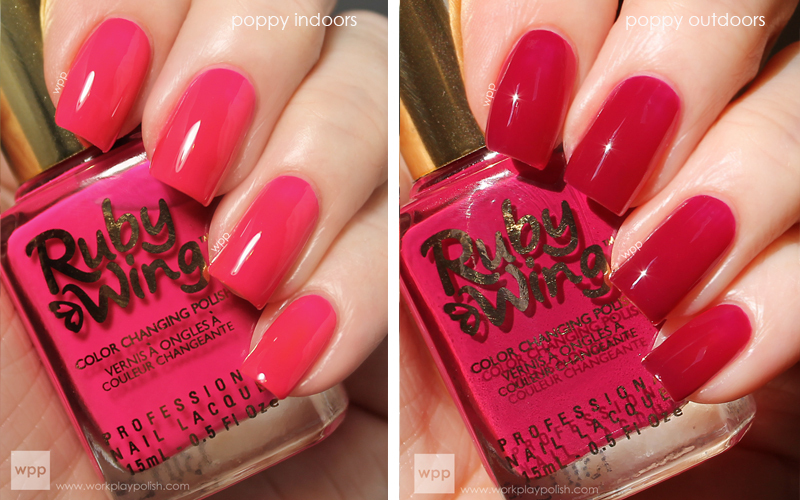 Today I have the entire Ruby Wing Spring 2013 Scented Garden Collection. 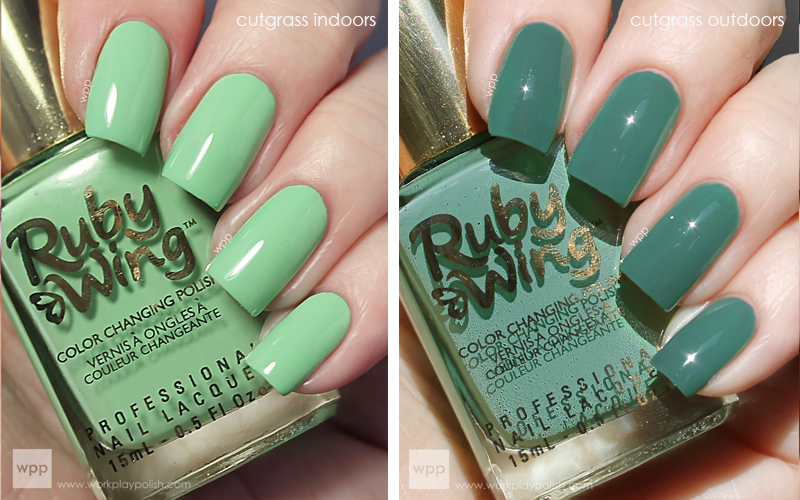 Brought to us from the makers of Color Club, Ruby Wing uses SolarActive technology to create beautiful polish that changes color in daylight. This collection adds one more dimension, scent! 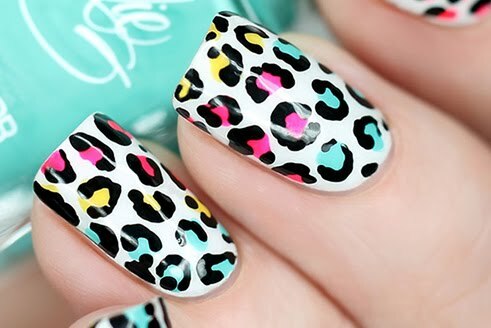 These polishes are so fun! I thought the color change would be gimmicky - but they are seriously nice polishes in their own right. The remarkable color change is a bonus. It's literally like two polishes in one! Lily is a pretty opalescent lavender pink. I tend to shy away from sheerer polishes because my nails can be stained (gasp). But wow! The color change is incredible! It instantly becomes a coral shade. This was the first one I tried and I was amazed. I kept walking in and out of the sunlight! The scent was light and sweet, more perfume-y than anything. Fresh Linen is a clean, white frost with a creamy formula and a sugary scent. It’s completely opaque in two coats. In the sunlight, the white changes to a subtle blonde gold. Application was nice. It’s a great full-coverage white with a little dimension. Indoors, Sunflower is a neutral gold glitter. The coverage is really nice (this is only two coats) and application was smooth. The color change wasn’t as drastic with this one. The gold takes on a more yellow-gold tone. This is a great gold glitter color-change or not. I can’t quite make out the scent. 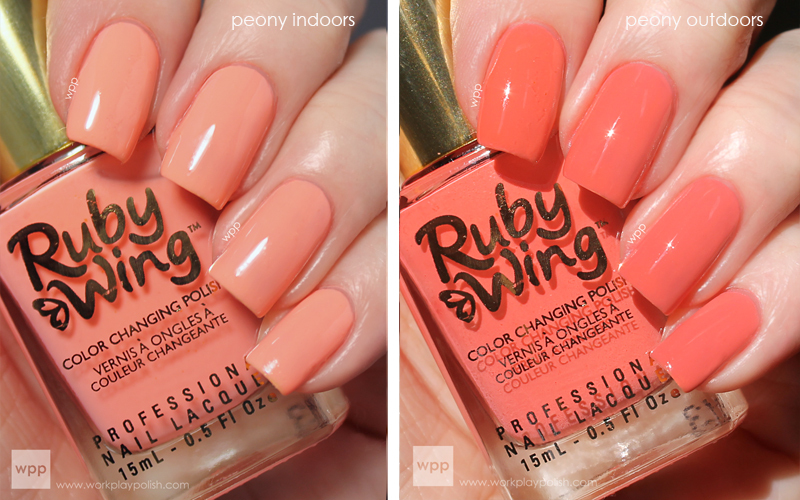 Peony is a pretty light apricot color indoors and a medium coral outside. Unfortunately, my brush was detached from the lid. 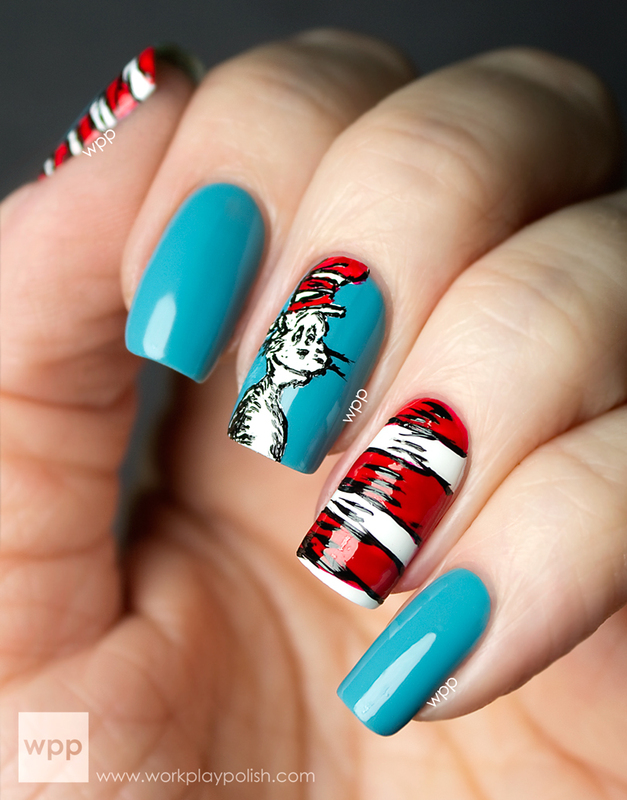 I was able polish using just the brush – but the result was streaky and I really had to work against the bubbles. I’m sure this was a fluke thing and the bubbles were related to the broken seal. Otherwise the formula was smooth. I thought this one had the strongest scent. It also happened to be the most difficult to photograph! Cut Grass is a bright pastel green in the shade. Application was really nice. When I pulled this out of the box, I was a little concerned it would really smell like cut grass. :D But the smell is similar to the others – perfume-y sweet. Cut Grass changed color significantly too. In the sun it’s a darker, more kelly green. Very neat. I'm not a green fan but I love this one. Great for upcoming St. Patty's Day! And finally we have Poppy. This is a bright pink...almost neon. Brighter than it looks in the bottle and brighter than in the Ruby Wing shots. I love it! In the sun it takes on a darker fuschia shade. In my opinion, this one had the best formula - a breeze to apply. The scent was also sweet like the others. 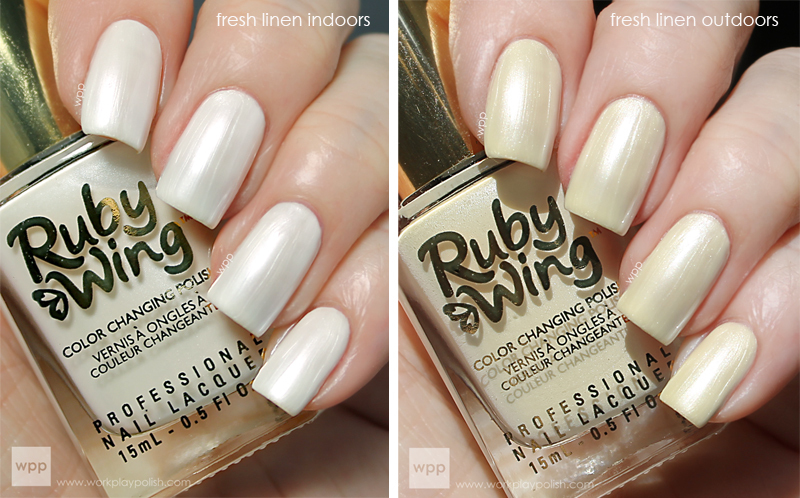 For some reason I expected the “color changing sauce” in each polish to affect application, but it didn't. They all applied like good quality polish. Honestly, I could take or leave the scent. They all smelled so alike. It's definitely not unpleasant. I just think the polish is great without it. 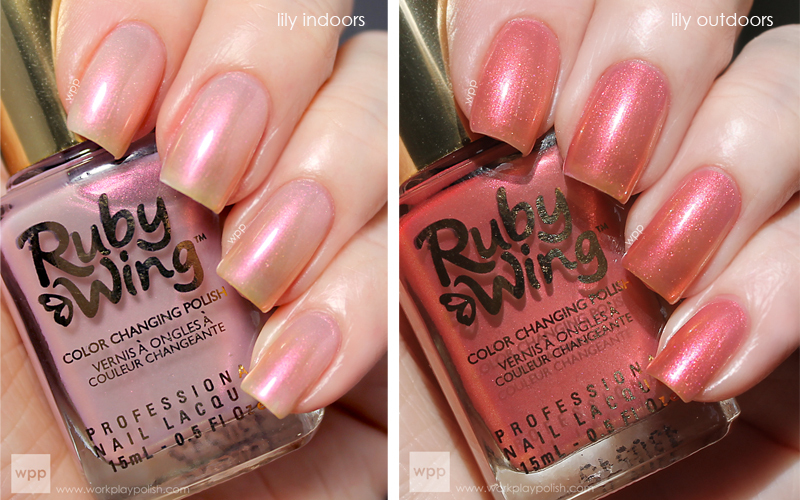 The change works in all climates, but my first thought is Ruby Wing belongs on every summer vacation! How fun would it be to wear these on the beach or on a cruise?! 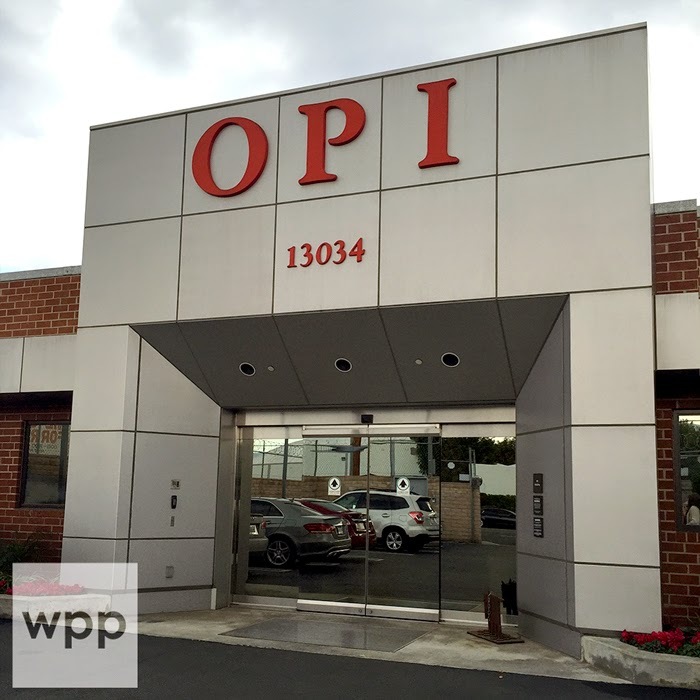 Ruby Wing is completely non-toxic and environmentally safe. Plus, they're vegan, and never tested on animals. Polishes retail for $10USD and are available online at www.rubywing.com. You can also follow them on facebook, twitter or their blog for upcoming collections, events and promotions. To learn more about SolarActive and their color changing technology which is used in a variety of cool products, visit www.solaractiveintl.com. So what do you think? Will you be trying them?